Where your home is built, how it's positioned on the lot, and the directions your windows and doors face are all matters to consider when building or remodeling. To help you choose the right windows and doors for where you live, consider the following tips. The placement of windows and glass doors on certain walls can determine the kind of natural light that enters your home, and even the temperature inside your home. South-facing windows are well suited for comforting solar heat in the winter. North-facing windows do not typically bring in direct sunlight or solar heat but rather cooler, muted light. East and west-facing windows tend to receive more sunshine in the summer than in the winter, potentially bringing uncomfortable solar heat gain. In general, all south- and west-facing windows are more susceptible to solar heat gain, depending on shading conditions such as trees, adjacent buildings, overhanging rooflines or awnings. As noted above, all windows are subjected to solar heat gain and loss depending on direction, reflective surfaces or shading options. Always consider energy efficient factors when determining the placement and style of windows in your home. 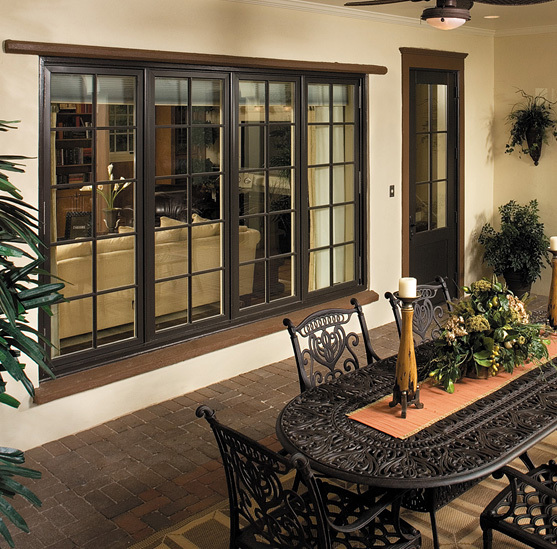 Energy efficient windows and doors will help your home stay comfortable year-round. Both the climate and the direction your doors face play a key role in determining the lasting beauty of products. Proper protection for doors is crucial. Direction. Typically, southern and western exposures are harshest. Facing south, the door is subjected to sun from sunrise to sunset. Facing west, the door receives sunlight in the hottest part of the day. Door color. Color choice may affect how quickly the exterior of the door weathers in extreme climates. In general, darker colors absorb more heat than lighter colors. Depending on the exposure and environment, other precautions (such as overhangs) should be taken to protect the door from the effects of the sun. Storm door considerations. A storm door provides additional protection for an exterior door in some climates. It shelters the door primarily from rain and wind, though a storm door with dual-pane Low-E glass will also block UV rays. In hot climates, adding a storm door may not be a good choice, as heat builds up between the two doors and can cause substantial damage like warping, color fading, and wood joint separation. Overhang protection. The protection you provide to your exterior door is a major factor in its maintenance requirements and longevity. An overhang, as shown, is a necessity to prolong the life of wood doors and is beneficial for steel and fiberglass doors, too. Overhangs protect the door's finish, minimize the need for refinishing and help keep the elements out of the home. Climates that are wet or humid can be a challenge, requiring more maintenance for windows and doors, including regular repainting and touch-ups. Windows that won't need painting, such as vinyl and wood windows with exterior metal cladding, are good choices. Hardware can also be damaged. For lasting performance including resistance to damage by sea air and harsh coastal conditions, choose coastal hardware for your windows and doors. In hurricane-prone regions, not just any window will do. 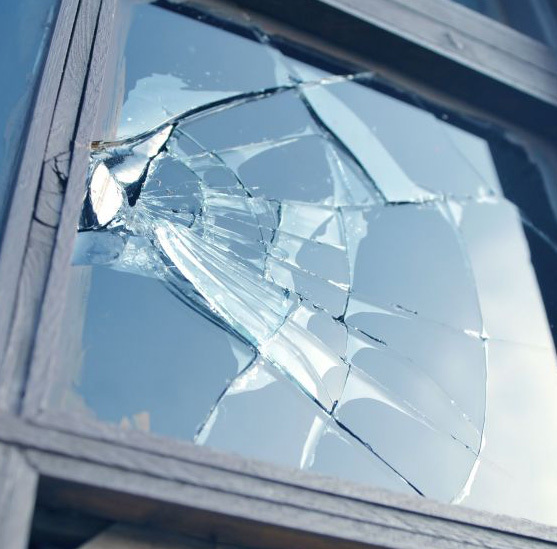 During a severe storm, a broken window can affect a home's structural integrity. Choose windows and glass doors that are engineered to stand up to the conditions. Look for optional features, such as Impact Guard protection, that are designed to resist impacts from windborne debris and keep windows sealed and intact during storms so even if the glass cracks, the fragments adhere to the interlayer and the shards remain within the frame. Hurricanes make headlines, yet builders and homeowners from east to west are focusing on storm preparedness. That's because homes nationwide face threats from heavy rain, wind and extreme temperature changes throughout the year. In fact, weather-related disasters account for nearly $14 billion in damage throughout the country annually, according to the National Oceanic & Atmospheric Administration (NOAA). ABC.com reports that the damage caused by Hurricane Irene alone from downed trees and other wind damage could total about $5 billion, while flooding damage could total another $2 billion. It's important to understand how severe weather can affect structural integrity. Specifying the right exterior products can help decrease the risk of major damage. 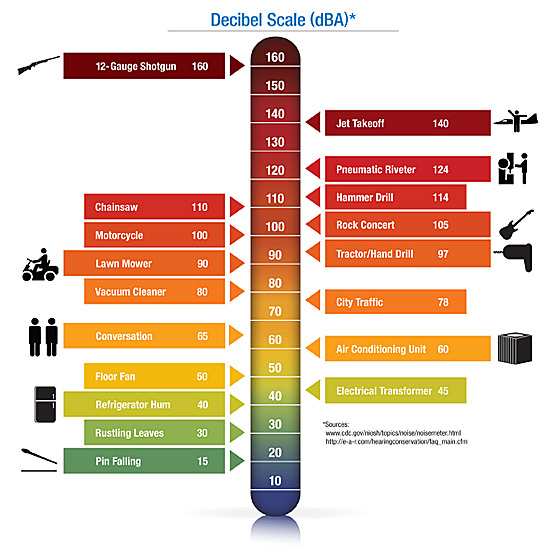 Sound control is an increasing issue for professionals and homeowners. Knowing how to evaluate the acoustic properties of windows can help you make better choices. Sound control is a growing trend in the construction industry, and the market for sound control products is vast. Whether for use in structures around airports, highways, trains or even in loud urban neighborhoods, sound-dampening solutions are sought out more and more. And because the average dual-pane window blocks less sound than the average exterior wall, window upgrades are an effective and high-value way to increase the acoustic performance of the outside envelope. So how do you evaluate acoustic properties of windows? First, it's important to understand the rating systems used to gauge performance. Second, you need to be able to put the performance in a context you and your customers can relate to. For instance, is an STC 34 good? How good? Will it block out highway traffic? Acoustics describes the sound control properties of an object. In the building products industry, there are two main rating systems used to communicate how well products block sound: Sound Transmission Class (STC) and Outdoor/Indoor Transmission Class (OITC). STC: This system has grown to be the most used and recognized method of comparing acoustic performance of building products in the industry. Not because it’s necessarily the most appropriate method, but because it has been in existence far longer than other methods. STC was originally developed to measure the extent of sound control between interior walls (the higher the number, the better the performance). However, asking for or specifying windows with a specific STC rating remains the most effective way to communicate with manufacturers and other professionals involved in the construction process. OITC: This is a much newer rating system developed specifically to measure the extent to which an exterior wall insulates against outdoor noises in the low to mid frequency ranges: heavy traffic, airplanes, trains, etc. While OITC is often a slightly more appropriate way to evaluate windows, it isn't nearly as recognized as STC, nor has it been well-embraced by the construction industry. This is because building professionals haven't fully adopted OITC, and again, STC is better recognized. In the end, both STC and OITC measure the extent of sound transmission loss, and are solid indicators of performance. The benefits of windows with a higher STC rating are subjective and sometimes difficult to communicate. There are, however, benchmarks that provide a stable platform for understanding acoustic performance, and more importantly, for managing your expectations about the extent of sound reduction you can expect. 2x4 exterior wall: A typical 2x4 wall with insulation in a stick-built home has an STC rating of around 36. Unless the entire structure is engineered for sound control, there is little value to purchasing windows with a higher rating than the wall. If the windows rate higher than the wall, sound enters the structure through the walls. Additionally, if the structure is old and not well-designed, sound-control windows may do little to nothing to improve the situation. Single-pane windows: Existing single-pane windows often have an STC rating between 18 and 20. Replacing old single pane units with new, acoustic windows will likely have a noticeable effect. Dual-pane windows: New dual-pane windows with standard glass fall in the STC 25-27 range. In many situations, this is sufficient, and could dampen sound by as much as 40 percent when replacing single-pane windows with dual-pane. High noise environments may require higher ratings. A 2-point STC improvement is, in many cases, not perceptible. So while STC 34 windows may be sufficient to bring the windows up to the acoustic standard of a typical insulation-filled wall (STC 36), a rating of STC 32 may fall short of that goal. A 4-point STC improvement is clearly perceptible. A 10-point STC improvement reduces sound by about 50 percent. Having covered the basics of acoustics in An Introduction to Sound Control, let's take a look at window options that affect acoustic performance. Specifically, we’ll review the combinations of components and window types that are optimal for sound control. For practical solutions to sound control, dual-pane windows are nearly always the best choice. They are cost-effective, energy efficient if ordered with Low-E glass, and retain the aesthetic beauty and functionality windows were designed for. A standard dual-pane window carries an STC rating of around 27, but requesting the appropriate options can boost that value up to around STC 34. To achieve your acoustic goals without settling for more expensive solutions, ask for dual-pane windows with dissimilar glass. While standard glass units consist of two panes that are the same thickness, dissimilar glass refers to a window with two panes of glass with different thicknesses. For instance, one pane might be 1/8" and the other 1/4". Each pane in a dissimilar glass unit blocks different sound frequencies. One pane targets lower frequency sounds like a neighbor's stereo or airplane noise. The other pane targets higher frequency sounds like screaming. The result is sound control over a greater range of frequencies and a significantly higher Sound Transmission Class (STC) rating than a window with standard dual-pane glass. In fact, dual-pane windows with dissimilar glass can achieve STC ratings nearly as high, if not as high, as triple-pane or laminated glass. At All American Exteriors, for example, we offer a variety of dissimilar glass combinations on our Vinyl windows that carry up to an STC 34 rating. Consider that an average exterior wall of a stick-built home has an STC rating between 34 and 38. An STC 34 brings the windows up to the level of most of the outside envelope of the home. Anything higher is impractical because, while sound might not enter via the windows, it will just as easily enter through the lower-performing exterior walls. Clearly three panes of glass are better than one, right? Not necessarily. 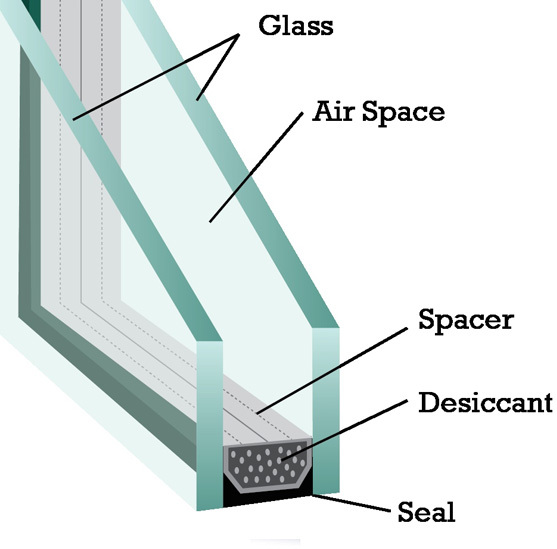 In many cases, a triple-pane window has smaller air spaces between the panes of glass. These smaller airspaces are less than optimal for sound control and often create a reverberation in the sound waves that amplifies the sound level and cancels out any beneficial effects a third pane of glass provides. Our Research and Development team here at All American Exteriors has shown, through past testing, that an average triple-pane window has an STC rating about that of a dual-pane window with dissimilar glass. The main purpose for laminated glass is to guard against high wind environments where impact resistance is required. As with triple-pane glass, laminated glass reduces the airspace and doesn't tend to perform much better than a dual-pane window with dissimilar glass. In some cases, however, laminated glass can offer a slight (around one point) STC improvement. If meeting an architectural specification that requires, for example, an STC 35 instead of the STC 34 you might meet with dissimilar glass, laminated glass may be necessary. Be advised, though; laminated glass can add between 30 percent and 50 percent to the cost of the window, making it a fairly impractical solution from a cost perspective. Vinyl and wood windows, in general, perform well when it comes to blocking sound. Aluminum conducts sound and should typically be avoided as a solution to sound control. Windows with a higher glass-to-frame/sash ratio are likely to perform better, especially if the glass in the window is designed to achieve a higher STC rating. For this reason, casements, awnings and fixed windows are the ideal operating types. Air infiltration also plays a big role in acoustics. The tighter the window, the better it performs. In general, those same window types (casements, awnings and fixed) tend to be more airtight in their design. When the entire structure is engineered for sound, specifying a dual-pane window may not be sufficient, even with dissimilar glass. In that case, look for windows designed from head-to-toe for sound control. While this may mean double-sashed or 4-track window systems or storm window applications that are bulky and less than aesthetic, solutions like this can achieve STC ratings up to 40 and higher. In conclusion, given the state of today's technology in the window industry, practical solutions to sound control can be easily achieved with the right combination of options in dual-pane windows. And recommending or specifying dual-pane acoustic windows has additional benefits you may otherwise lose with triple-pane or windows with laminated glass. Most notably, aesthetic and functional attributes tend to decline as a window gets heavier and bulkier.